Sporting a beard requires special care. As facial hair grows, skin can get itchy and uncomfortable. The beard and the skin underneath require extra attention and care. Discover a well-groomed and clean beard with Himalaya Men Face and Beard Wash designed specifically to care for your facial skin and hair. Enriched with Aloe Vera that conditions stubble and soothes irritation and Coconut Water which deep cleanses and gives clear, fresh skin. Gentle on the skin and effective enough to work on a rough, coarse beard, the face wash is enriched with natural ingredients that provide deep cleansing, clear skin, and a soft beard. Aloe Vera and Coconut Water deep cleanses and gives clear, fresh skin. Moisten face, beard, and neck. 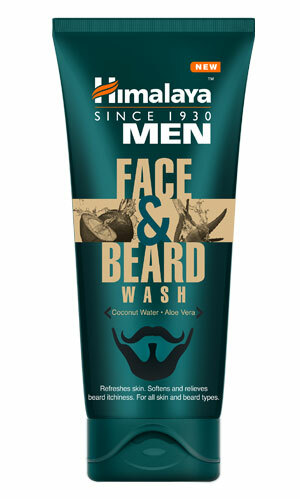 Apply a small amount of Himalaya Men Face and Beard Wash and gently work up a lather using a circular motion. Wash off and pat dry.